Joseph "was a righteous man". 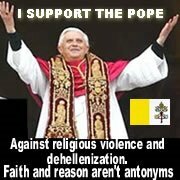 He had every reason to divorce Mary publicly and shame her. He must have been quite hurt to find out she was pregnant, knowing the baby was not his. But Joseph was a just man, and rather than listen to his hurt feelings, he decided to divorce her privately. But what made him a just man, also made him in tune to the truth. He knew the truth when he heard it. When he heard the Angel's message, he believed it. He knew Mary, he must have known how pure and holy she was, he would have seen the truth of the angel's words. 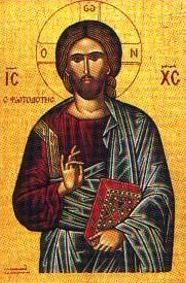 He may not have understood everything, but he went ahead and took Mary into his home as his wife and he brought up her son as his own. I am sure he never regretted it. 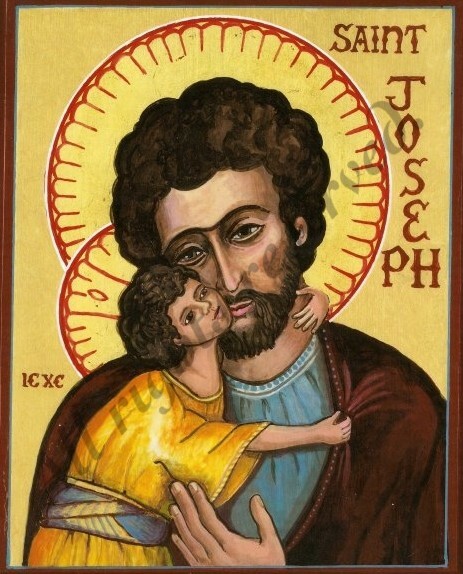 Pray for us, St Joseph, that we might know truth when we encounter it, as you did, and that we might put aside feelings of hurt, rejection, sorrow and betrayal in order to avoid revenge and to do what is right. May we remain open to the word and the will of God. Amen. I came across this video on YouTube yesterday; Stuff Catholic Girls say! "I really want to hug the monks who invented Leffe." "Have you ordered your Mystic Monk coffee yet?" "My kids are all Heathens!" "I've given up looking for a husband. I think I may just throw in the towel and become a nun." "My kids are heathen slobs who think the whole house is one huge trash can. Why can they NEVER use a garbage can?" "I wish I had time to pray." "NO you are NOT bringing the light and sound Jedi Master light saber to mass!" "Tommy, stop trying to choke your little brother with the rosary!" "Please pray for me, I think I'm going crazy." "Hmmm, which rosary shall I use today? The St Michael rosary, the pink swarovski crystal rosary, the pro-life rosary, the John Paul II rosary or the glow in the dark plastic rosary?" "I'm drinking Midnight Vigils coffee." "Sorry, I can't tonight, I have choir practice. No, tomorrow's not good either, I have harp lessons. Saturday, I might be able to work around badminton and my car appointment. Friday evening? Hold on... Oh, no. I'm sorry, I have to go to adoration. Yeah. I know. Since I gave up on finding a good Catholic husband, I've been kind of busy." "When is my package from Aquinas and More gonna get here?" "I love my kids. The youngest one thought the full moon looks like a Jesus's body." (Banging head on table) "WHY? Why did I have 14 kids?" (Checking self out in mirror) "Not too shabby for someone who had 8 kids." "Why yes, now that the kids are mostly grown up, and I haven't had a baby in, oh, a year, I've taken up sports." "I SOOOOO need a whiskey. But it's Lent." (pause) "I know, I'll have Chartreuse instead. That's like alms giving. To the monks. And I won't eat. So I'm giving alms and I'm fasting." "I will pray for you. I'll even offer up the mind-numbing boredom of ironing my husband's shirts for you." "Why do kids ALWAYS have to ask the most embarrassing questions in a loud stage-whisper right at the consecration, when the church is the most silent?" (Sobbing) "I'm never taking them to mass again..."
(To husband) "Oh good, you're home. If you need me, I'll be locked away in the bathroom, drinking half a bottle of wine and reading Scott Hahn's latest book. Tell the kids I left, ok?" "I have a date... with transubstantiation."